From all eternity God truly knows all those who will cooperate with His graces, lavishly given, to do good and avoid evil: therefore God truly sees the ones in whom grace is indeed efficacious. By the same token the Good Shepherd knows those from all eternity who will not cooperate with graces given and do evil; therefore, He likewise recognizes those in whom grace is inefficacious. Just as we can see the prayers of one person may be "efficacious" but for the next person they may not be, dependent upon his or her openness to divine grace, so also the Good Shepherd has stated just as authoritatively, in much the same way, some sheep are part of His fold and some are not, depending on how they relate to the Good Shepherd: if they recognize Him, hear His Voice, follow Him; and moreover, whether they exhibit His grace-filled characteristics, and, if so, they shall never be snatched away from Him and therefore enjoy everlasting life. Do not our Lord’s words on His sheepfold sound exactly like efficacious grace? The supernatural salvation of each and every sheep in the Good Shepherd’s fold is ultimately determined by whether the graces one receives—and especially at the Holy Sacrifice of the Mass—are efficacious or not. Our salvation, as Christ’s sheep or not, hinges on our openness to the efficacious graces emanating from the grace-filled Presence of the Good Shepherd in our lives. 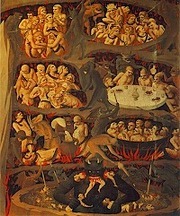 One incredible case in point from Holy Scripture is recognizable in the two lost sheep on the Road to Emmaus who met the Risen Lord and were, literally, helpless scattered sheep, unable to grasp the efficacious graces the Good Shepherd wanted so much to share with them after His Passion, Death, and Resurrection. These two disciples, as close as they seemed to be to Christ, were in serious trouble spiritually because they could not sort out the essential message of Sacred Scripture concerning Our Lord’s Passion, Death, and Resurrection. Therefore, the Divine Shepherd rebuked them strongly for this:"O foolish ones and slow of heart to believe in all that the prophets have spoken! Did not the Christ have to suffer these things before entering into His Glory?" (Luke 24: 25-26) Then Our Lord proceeded to go through all of scripture to teach them its necessary truths concerning His Passion, Death, and Resurrection. In spite of all that these two lost, wandering disciples knew of Sacred Scripture and what had happened to Christ in the three days of His Passion, Death, and Resurrection, it was not enough to be a grace-filled and efficacious experience for them! Why? Because they could not truly comprehend or understand the Christ of Scripture or see His Presence therein! No, they were blind and unable to see till Christ revealed Himself to them in His Real Presence. They could only see Christ through the ‘Breaking of the Bread.’ Then, they comprehended scripture, then Christ was in their midst; then they could see with their hearts through the Good Shepherd’s Almighty efficacious grace. How devoid of truth in hermeneutics and interpreting the truths of Holy Scripture are the thousands of Protestant religions which maintain to this day "sola scriptura" or "scripture alone" suffices for salvation. 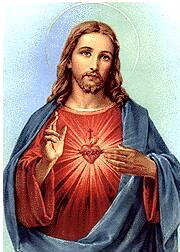 So blind this man-made religion can be, with a vacuous faith, lacking Christ’s Real Presence. Protestantism, even in this gilded age of ecumenism, is simply "graceless Christianity." 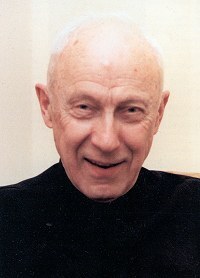 "A graceless—old testament—Christianity is the essence of modern day Protestantism," a favorite thought and definition often used by the late great Catholic theologian, Father John Hardon, S.J., who is currently under consideration for sainthood. Here we see the utter futility of Protestantism, a heresy to this day, which teaches Scripture alone is sufficient for salvation without the Real Presence of the Eucharist in the apostolic Mass of tradition: "The Missa Latina Tridentina." What do you have when you walk away from the Catholic Church to a man-made religion that claims to know scripture, when our Divine Shepherd said so poignantly: "Unless you eat My Flesh and Drink My Blood, you have no life in you." (John 6: 54)? 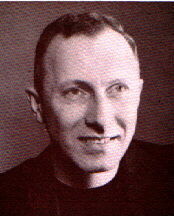 You have a religion that misapprehends the truths of Christ’s Word in Sacred Scripture because it is, literally, starving to death.And with this, we likewise see today the "Novus Ordo Missae" which more resembles ‘liberal protestantism’ in its objective lack of efficacious graces than it resembles the "Missa Latina Tridentina"— the most beautiful act of worship this side of paradise! This significant fact seems to be so clear to our current pontiff, Pope Benedict XVI, the dire dearth of efficacious graces in the new Mass compared to the "Missa Latina Tridentina." Yes, the major stumbling block prohibiting the two lost sheep on the Road to Emmaus from seeing the truths of scripture was their inability to see Christ’s Passion and Death as absolutely necessary for the salvation of mankind from sin. Otherwise, they simply could not see— no matter how hard they tried— the Christ in Scripture or Christ Himself in their midst. Not only were they blind and without efficacious grace; they had a vacuous, insipid faith. And, as we shall see, the major stumbling block of all protestant worship and the "Novus Ordo Missae" is the desire for a tolerant, compromising king with whom one can eat his mundane "meals" and feel good and comfortable about oneself. Comfortable, yes, with a christ who has no cross and no sacrifice and no plenitude of infinite graces that can save all from their sins at his sacrificial altar of efficacious graces. 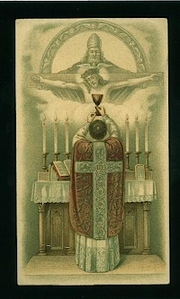 It is so necessary for every man and woman to approach the Holy Sacrifice of the Mass where, with contrite hearts, we repent again and again of our sins and not depend on Christ's singular act of sacrifice of the Cross as a 'once saved always saved' excuse for not repenting today and everyday of our lives in the sacrificial renewal of Calvary at the altar of God. We must lock into Christ’s Passion and Death in our hearts to receive His plenitude of efficacious graces, just as the two lost sheep on the Road to Emmaus finally did. 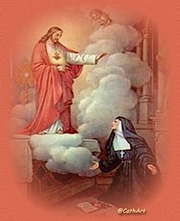 It is only the sacrifice of a contrite heart that truly saves! 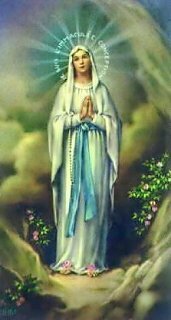 Moreover, for efficacious graces to flow freely into our hearts it is imperative that we be penitent and contrite for our sins. 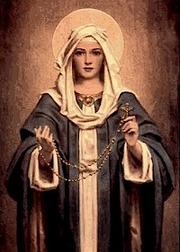 So, for any prayer to be thoroughly efficacious, and indeed the highest and most valuable prayer possible, the Mass itself must be penitential and prayed with a truly contrite and humble heart: a heart sorry for its sins. So Pope Benedict XVI realizes, as His Divine Shepherd has taught, that no prayer to God can be efficacious and full of grace unless it be penitential and prayed with a contrite or repentant heart. And this is the basic difference in the two masses, the "Novus Ordo Missae" and the "Missa Latina Tridentina": one is clearly sacrificial and the other not. Certainly, the more contrite our hearts during the Holy Sacrifice of the Mass, the more efficacious and grace-filled our prayers. The less contrite, the less efficacious. 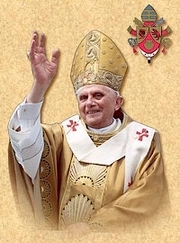 Furthermore, these supernatural deficits must be so manifest to Pope Benedict XVI today otherwise he would not have acted, so forthrightly and decisively, at this time in Catholic history to liberate the Tridentine Mass for all priests and the faithful from its neglect and obsolescence for the past forty years. The ultimate question is what might he see to motivate him so strongly? 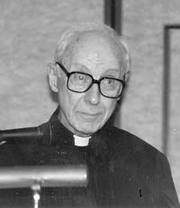 Perhaps he sees the abundance of inefficacious and even sacrilegious prayers of Catholics everywhere today or it is extremely doubtful that he would have been so strongly motivated to act: Catholics visible everywhere who lack contrite hearts as they march down the aisles, Sunday after Sunday, to receive the Eucharist with sacrilegious hearts that feel abortion, or contraception are more important to them than repentance; who think voting for pro-abortion politicians all over this country matters not a wit if they feel good enough to receive Our Lord in Communion; or adulterous Catholics and their consorts living together in irregular marriages believe they too are worthy to receive the Eucharist just because they have come to Mass; or even the abundance today of those liberal Catholics who contend that going to Mass on Sundays or utilizing the sacrament of Confession during Easter Season are optional regulations of the past. The bad fruits of the "new mass," like the mundane casualness of the two lost sheep on the Road to Emmaus, are evidenced everywhere in our brave new world—once thriving cities now filled with abandoned and shuttered Catholic churches and schools! In sum, the casualness of the "new mass" has precipitated a disastrous laxity of conscience in the average modern Catholic of today, a malaise that has excited Pope Benedict XVI to take heroic action. Yes, this saintly pope’s heart is on fire with the truth of ‘proper sacrifice’ in Holy Scripture, for just like the two disciples on the Road to Emmaus he can so clearly hear Christ’s beckoning voice emphasize the importance of the Eucharist and the ‘breaking of the bread.’Pray for our Vicar of Christ, Pope Benedict XVI, to stay the course with the sacrificial offering of your holy rosaries!